The term “breathability” is often associated with various natural building methods, however the term is often misunderstood. It does not refer to air exchange but vapor permeability. In our fast-paced and ever changing culture we seldom have the luxury of making choices based on a long track record of success. This becomes quickly apparent in choosing building products. I recently called a major manufacturer to find out what was in a new product developed to prevent mold growth on framing lumber. I wanted to avoid the use of biocides for this chemically sensitive client. When I was a kid and I got sick…the doctor came to me. My mom would scurry about cleaning up the house as this honored guest was on his way. It is unfortunate on many levels that doctors can no longer offer this service. 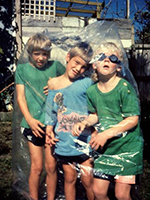 Having spent many years speaking to hundreds of people who have suffered from environmentally induced poor health I have come to wish that every doctor was trained to make at least a verbal house call as one component of a holistic case history. 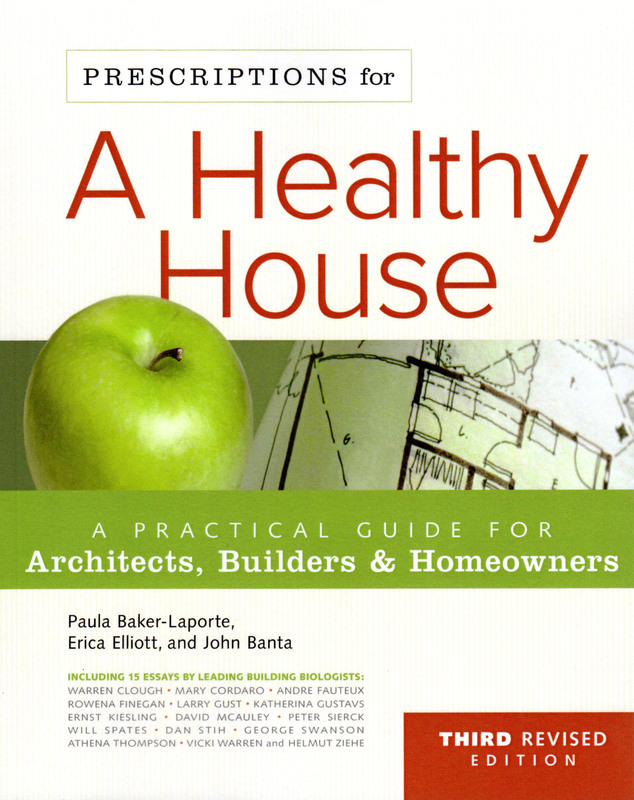 Why build a healthy home? Is there cause for concern? Building Biology advises us to use color “in accordance with nature” in our built environments. I never grasped the full significance of this until I was called upon to design a healthy home for a pair of birds! 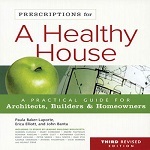 Architectural and building practices can create either sick buildings or healthy buildings. Until about 25 years ago, indoor air pollution was a very limited phenomenon, but three basic things have changed in the evolution of building technology resulting in the current widespread concern about the environmental quality inside our homes. Can a home with clay-straw walls replace the log cabin as the ultimate symbol of green living? Biological Compatibility and Ecological Performance, or What does cooking dinner have in common with building a home? 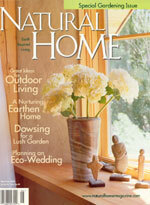 The second in a series of columns titled Healthy Home Corner. 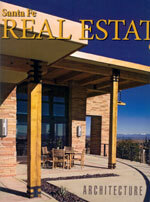 Reprinted courtesy of Santa Fe Real Estate Guide. Are We Unwitting Guinea Pigs? 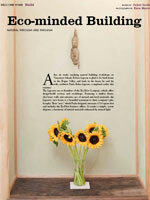 The third in a series of columns titled Healthy Home Corner. 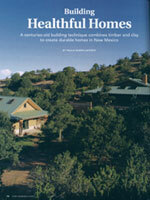 Reprinted courtesy of Santa Fe Real Estate Guide. 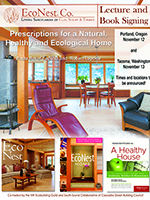 The fourth in a series of columns titled Healthy Home Corner. 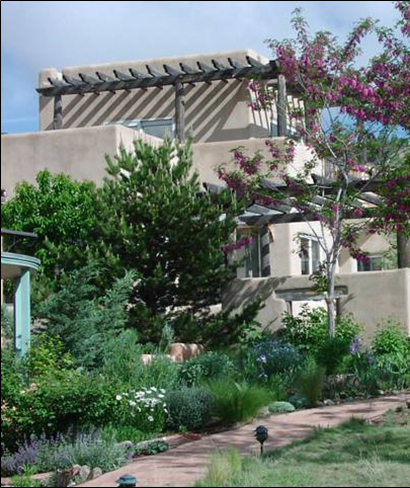 Reprinted courtesy of Santa Fe Real Estate Guide. 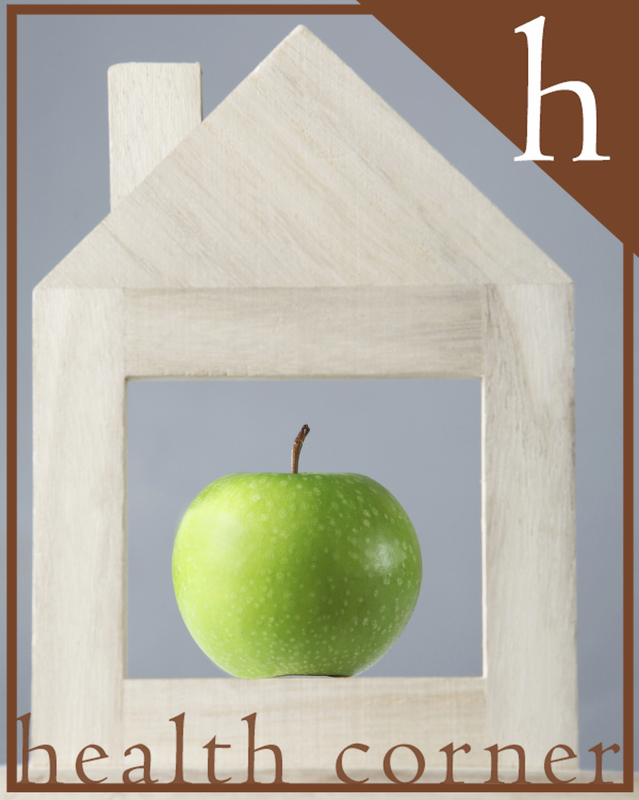 The fifth in a series of columns titled Healthy Home Corner. Reprinted courtesy of Santa Fe Real Estate Guide. The sixth in a series of columns titled Healthy Home Corner. 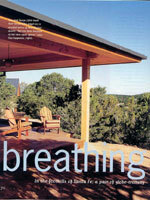 Reprinted courtesy of Santa Fe Real Estate Guide. The seventh in a series of columns titled Healthy Home Corner. Reprinted courtesy of Santa Fe Real Estate Guide. The eighth in a series of columns titled Healthy Home Corner. Reprinted courtesy of Santa Fe Real Estate Guide. 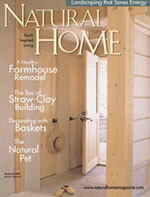 The ninth in a series of columns titled Healthy Home Corner. Reprinted courtesy of Santa Fe Real Estate Guide. 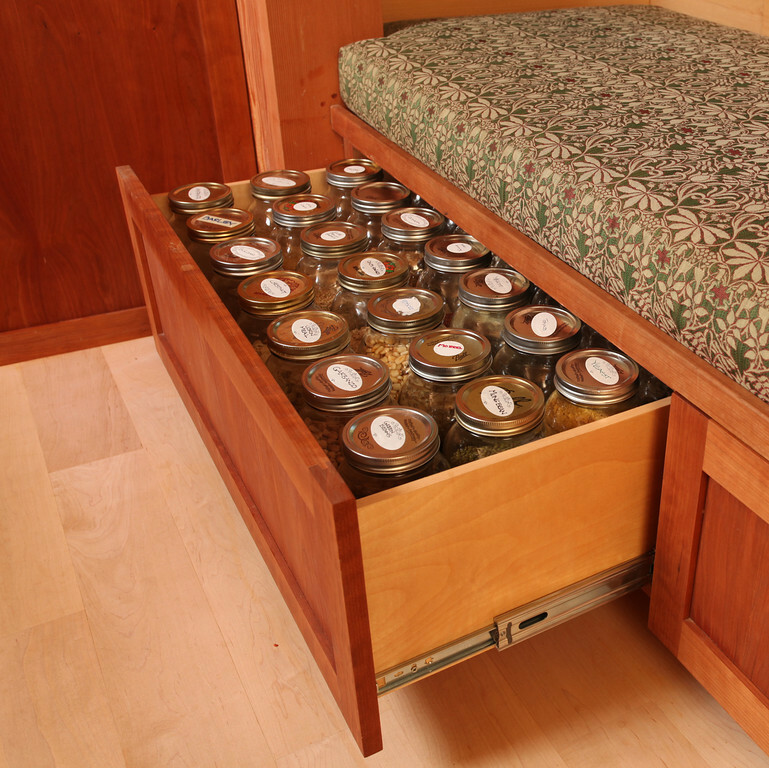 The tenth in a series of columns titled Healthy Home Corner. Reprinted courtesy of Santa Fe Real Estate Guide. 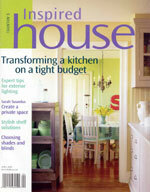 The eleventh in a series of columns titled Healthy Home Corner. Reprinted courtesy of Santa Fe Real Estate Guide. The twelfth in a series of columns titled Healthy Home Corner. 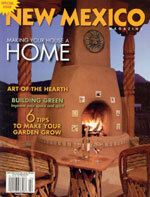 Reprinted courtesy of Santa Fe Real Estate Guide. The seventeenth in a series of columns titled Healthy Home Corner. Reprinted courtesy of Santa Fe Real Estate Guide. 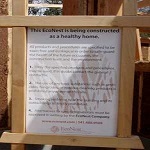 At EcoNest we hold four Natural Building Workshop sessions each year. 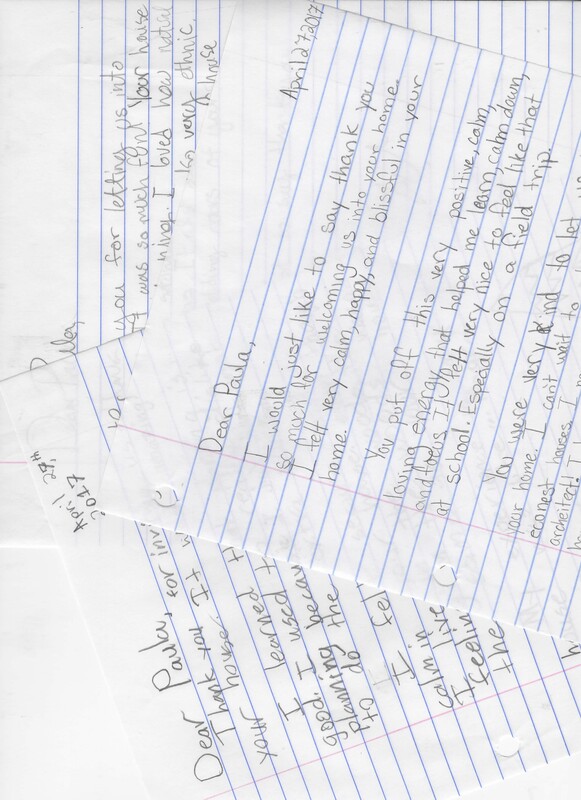 Students are met at their own level and then gently challenged, to cultivate and hone the innate builder within them. 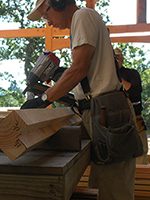 Whether the entry point is “screw gun 101” or refining complex wooden joinery skills the environment is created and the tone is set for enrichment… but not just of building skills. There is something significant that happens on a soul level when we come together to build with common vision….a vision of working in balance with nature. There is an ideal relative humidity range for our health and that is somewhere between 35% and 55%. In modern life we have introduced many new sources of moisture into our homes. 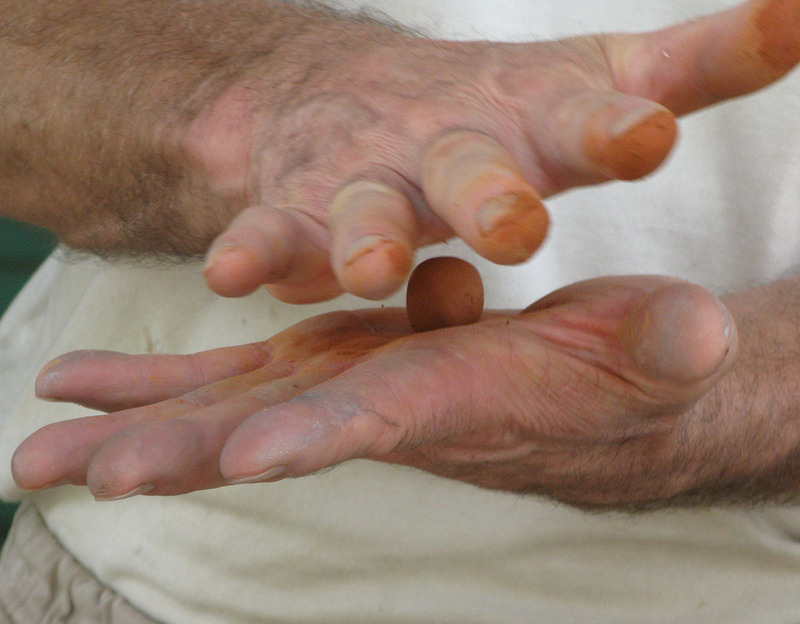 Daily showers, laundry, cooking and dishwashing tend to create concentrated bursts of humidity. 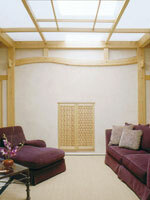 Radiant heat in the form of a masonry heater can create a cozy focal point in the home. Building biology pays close attention to the health qualities of natural site conditions and advises us to avoid building over geopathic stress zones. 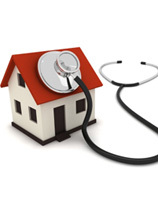 There are many reasons for hiring a Healthy Home Consultant and many different types of consultants. This article covers the four main reasons for hiring a healthy home consultant and 5 major requirements for achieving a successful healthy home construction or renovation. When it comes to your health and well-being your bed is the most important furniture choice you will make. 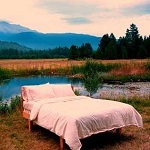 This article describes why and how to choose the healthiest bed options for you and your family. Our bedroom should be a sanctuary where our body repairs as we sleep soundly but is your bedroom as healthy as it could be? 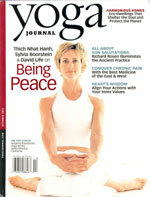 Learn how to create a Yoga Studio that enhances your practice and your health. A newly “refurbished home” smells bad. It has been 3 months and the smells are still overwhelming. Some helpful suggestions. What’s That Smell in My House? You smell an odor in your home and suspect that it isn't healthy. This article explains how to do some safe investigation in preparation for calling in an expert. 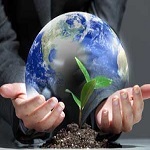 This article discusses the 25 principles of Building Biology and the essential paradigmatic differences between Building Biology and Green Building as practiced in North America. The story of how Paula's personal experience with Multiple Chemical Sensitivities led her to the study of Building Biology and how the Building Biology philosophy changed her approach to design dedicated for health and well-being. Backyard EcoNest . . . BEN! 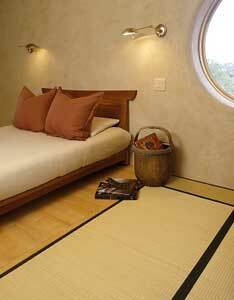 How would you use a small space designed for your well being . . .
"An approach to building that can sustain us ecologically, enrich us culturally and create places we're happy to call home." We had the pleasure of working collaboratively with Patrick Webb on an EcoNest in Pennsylvania. At EcoNest, we are always focused on health . 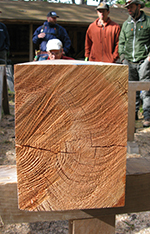 . . whether it's choosing building materials that don't off-gas hazardous chemicals, or creating buildings of natural, carbon-sequestering materials that outlast standard construction and biodegrade when their useful life is over. The International Institute for Building-Biology & Ecology (IBE) is proud to now offer BBNC, a newly formulated holistic design and building certification track. This Building Biology New-Build Consultant certification track is designed for professionals who shape our built environment. 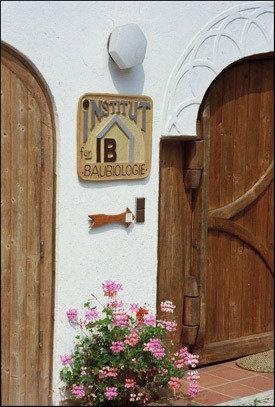 The International Institute for Building Biology & Ecology (IBE) recently launched their newest certification, Building Biology New-Build Consultant (BBNC) with two new classes: 214 and 215. This new 4-day seminar explores the broad spectrum of Building Biology design principles and applications so crucial for design and building professionals to incorporate into their practices. 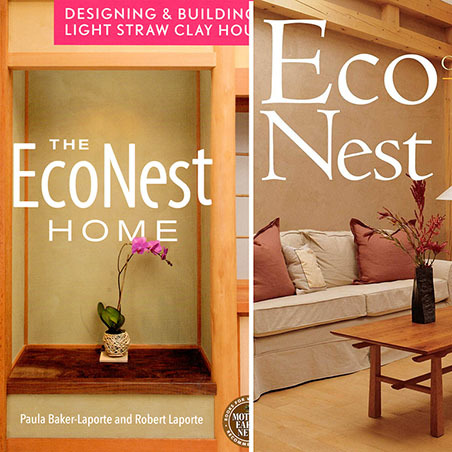 Just in time for Christmas, our books, The EcoNest Home, and EcoNest are on sale! For the month of December only, get both books for $40 plus shipping! 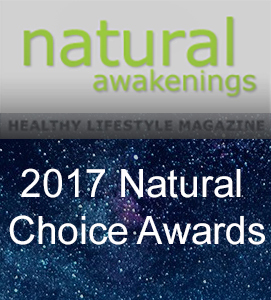 We are honored to have been awarded the Green Builder/Remodeler of the Year in the 2017 Natural Choice Awards by Natural Awakenings healthy lifestyle magazine. Join us at Bloomsbury Books in Ashland Oregon on October 26th, 7-8 PM. 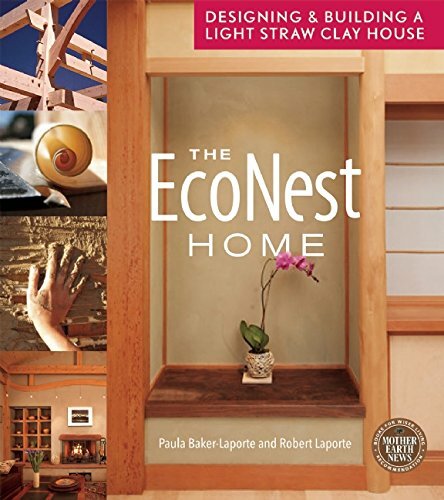 Lydia Doleman, author of the new book, "Essentials of Light Straw Clay Construction," will be joined by local authors and EcoNest founders, architect, Paula Baker-Laporte, FAIA, and builder, Robert Laporte, to discuss the many virtues of straw based natural wall systems. Last spring, Walker Elementary School's 5th graders visited EcoNest headquarters as a part of the Architects in Schools program. 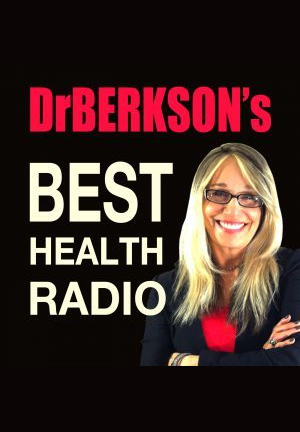 Recently, Paula joined Dr. Lindsey Berkson for the podcast: "Is your home making you sick?" Recently, Paula participated in an interview about healthier homes with Carrie Murphy of The Broadcast. Learn more about EcoNest in the news! You can find EcoNest on the radio, print media, and the internet! 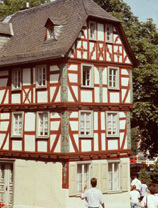 Timber Framing is the craft of post and beam construction connected with mortise and tenon joinery. Coveted from generation to generation, the natural strength and warmth of a hand-crafted frame graces a home with a profound connection to the forest, invoking a deep sense of serenity. Our newest addition to the Peregrine Family of Stock plans features a modest footprint of 830 square feet with the enticement of outdoor living. I live in an EcoNest in Santa Fe, New Mexico. I am also a mortgage banker. While I enjoy all of the benefits of this type of construction, I am aware that it is "different". However, the differences are primarily qualitative and should not affect an EcoNest owner's ability to finance a home. We are excited to unveil our newest stock plan: the FolkNest FN-1. This Mulmur house was designed from the ground up with healthy living in mind. 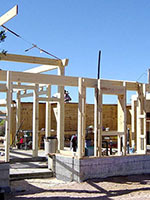 In this technical section of "The EcoNest Home," you will learn how to construct a corner Larsen truss jig. Whether you are setting up a permanent shop or building a single home it is well worth your time to create a proper work station for efficient mass production of the many hundreds of framing components. Attend our upcoming lecture and book signings! 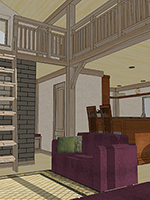 The following excerpt is an example of a technical section of "The EcoNest Home." Creating a biological home from scratch is an opportunity to enrich your life while contributing an inspirational example for others. 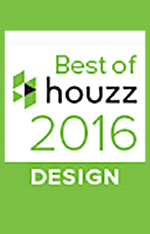 Paradise Lane Awarded 1st Place Residential at the 2015 People’s Choice Awards of AIA Southern Oregon! 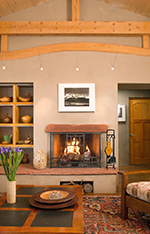 A husband-wife designer-builder team relies on natural materials and a tradition of craftsmanship to create their healthy New Mexico home. The Stanton Residence designed by Baker-Laporte and Associates and built by EcoNest Building Company. 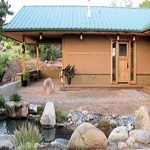 A centuries-old building technique combines timber and clay to create durable homes in New Mexico. Home designed by Baker-Laporte and Associates and built by the EcoNest Building Company. 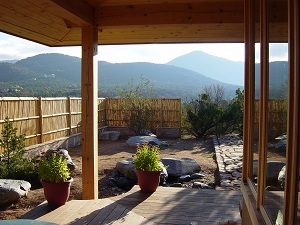 In the foothills of Santa Fe, a pair of globe-trotting yoga teachers build a house as healthy as they are. 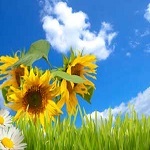 A simple blueprint for restoring body and soul. 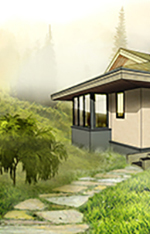 Harmonious Homes, eco-dwellings that shelter the soul and protect the planet. 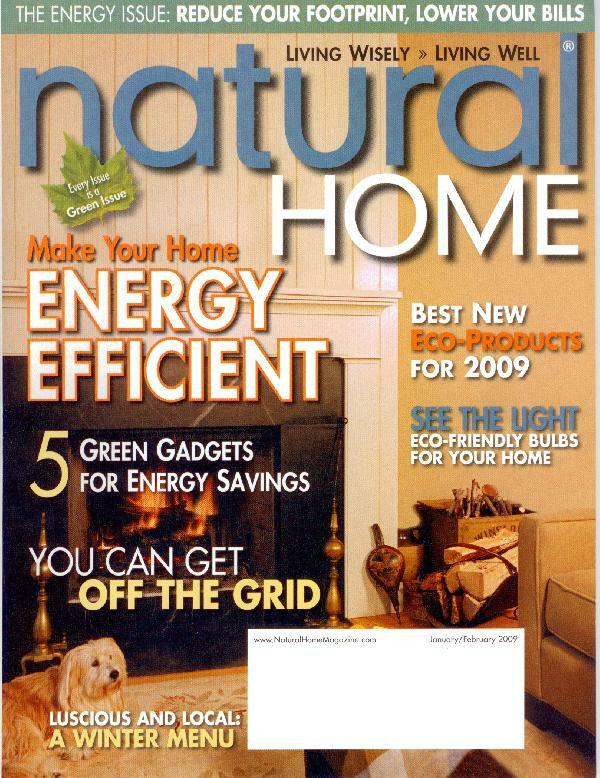 Natural, sustainable materials are gentle on the environment and on the homeowners. Designing and building human nests. Creating a living space that can relieve illness and promote good health is less complicated - and less expensive - than you may think. 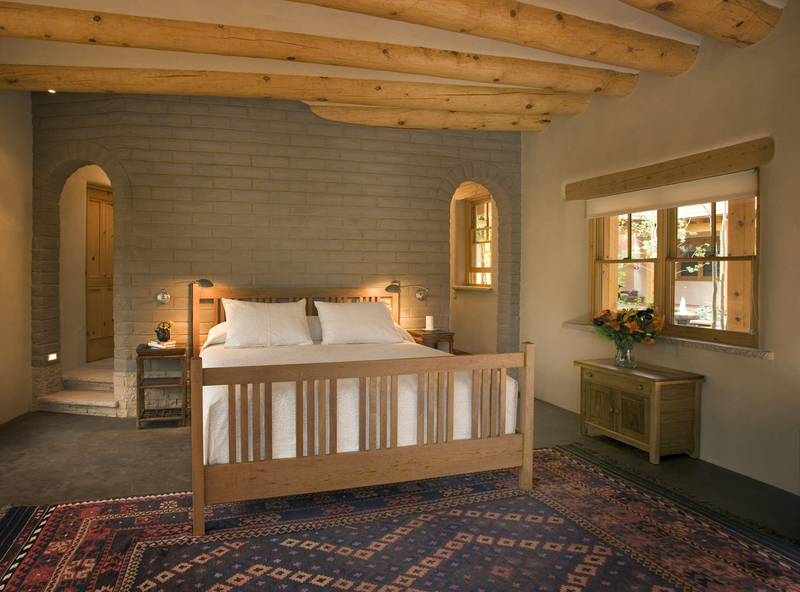 The wondrous and perhaps alchemical permutations of clay, straw, water and wood have always provided New Mexicans with structures of sublime beauty and comfort. 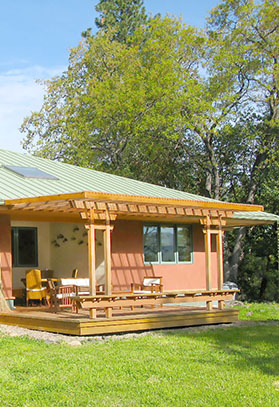 The Conwright home on Kemp Lake Road is an innovative home utilizing green technology. Just as wellness is more than the absence of disease, a healthy home means far more than a toxin-free environment. Eliminating EMFs in the bedroom. When I was a very young girl the full page add on the back of Life magazine read “More doctors smoke Camels than any other cigarette”. By the time I was a teenager it was rumored that smoking cigarettes might stunt growth. Now it is commonplace knowledge that cigarette smoke can cause cancer. EcoNest invites you to meet the homeowners of ten different EcoNests around the country who live simply, in harmony with nature. Creating a home from scratch is one of the most rewarding things a family can do. Engage in the process of creating your home.